GPS time synchronization server that supplies satellite time to a Windows PC, converting it into a stratum one time server. IP65 GPS antenna receives time from up to eight satellites. Ideal for synchronizing the time on a single PC and across a small network. Easy to use, reliable and secure. 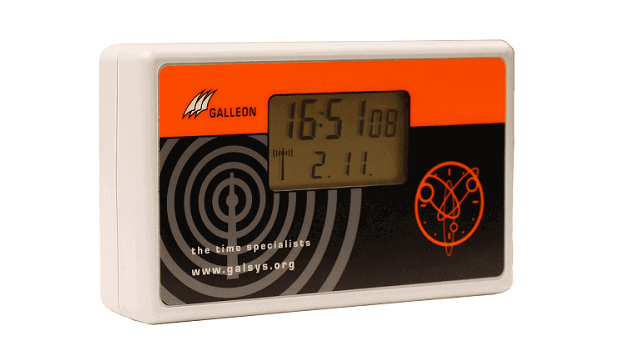 The Galleon Systems time synchronization server is supplied as a GPS antenna and NTP software. The antenna supplies precise time to your Windows PC and the NTP software converts a PC into a stratum one time server that can synchronize a small network of other devices. 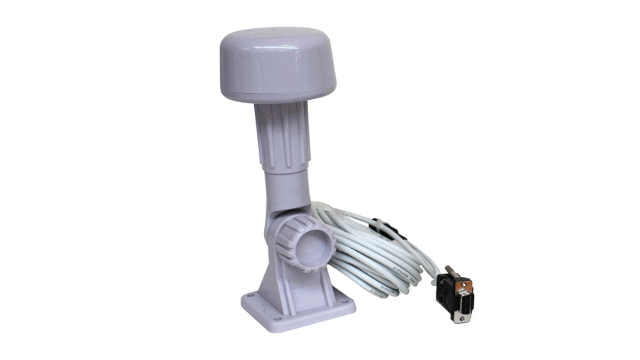 The antenna must be mounted outside and is rated to IP65 for all-weather reliability. With a 360° view of the sky, the antenna receives a time signal from up to eight satellites, ensuring a dependable signal. 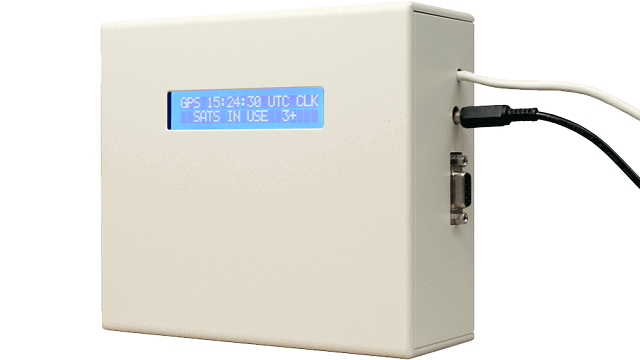 By receiving time directly from satellite atomic clocks via your own antenna, you maintain your network security, as no port in your firewall is required to access a public time source. 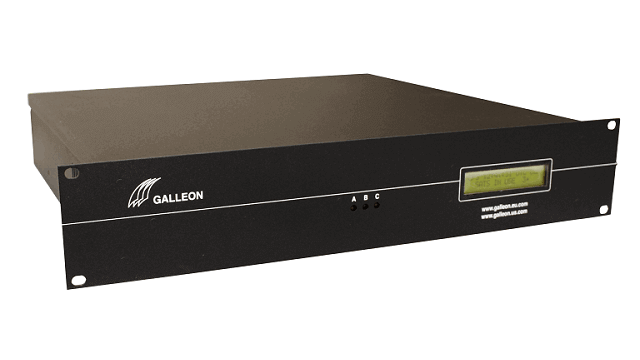 The GPS time server is a reliable and cost-effective method of providing precise time to a single workstation or a small network. Accurate: Receives a time signal from up to eight satellites. Secure: Sits behind your firewall and maintains network security.